Your stomach is growling, but lunch is hours away. You could indulge yourself with a snack and it's probably tempting to go the quick and easy route by grabbing a samosa, fries, potato chips, or candy. But you think it's best to avoid treats altogether and wait for lunch as weight loss is your goal. Whenever we think about snacks, we think of chips, samosa, batata vada, namkeens or biscuits and somehow snacking is always associated with fattening foods. But at the same time we know that sometimes, before it's a full meal time or sometimes when we do not have the time to eat an entire meal we end up eating snacks. Many, despite of knowing it is unhealthy, do it. It is more like a bad habit and people are mostly too busy even to think about it! Unhealthy eating causes a myriad of problems like unhealthy hair, dull skin with acne and blemishes, constipation, gas and bloating, aging faster than the chronological years, cholesterol problems irregular periods .It can also lead to memory loss, concentration and other emotional disorders etc. 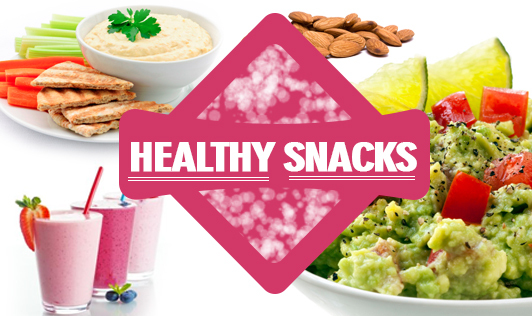 As with everything, moderation is the key to healthy snacking. People who eat regular meals and healthy snacks are less likely to overeat and gain weight than people who skip meals or go for long periods without eating and then binge on junk food.